IRVINE, CA, March 15, 2019 (GLOBE NEWSWIRE) -- via NEWMEDIAWIRE -- Cannabis Science, Inc. (OTC:CBIS), a U.S. company specializing in the development of cannabinoid-based medicines, announces that today it has launched the selection and appointment process for the Company's iCannabinoid Ambassador's Program. One of the most important components of Cannabis Science's growth and international market penetration strategy is information and the power of the people! The iCannabinoid Ambassador's Program is expected to help Cannabis Science rapidly expand the Company's footprint and support the development of new initiatives in new markets. Each iCannabinoid Ambassador will be designated an area of interest and expertise, based on your experience, expertise, and desired level of commitment. 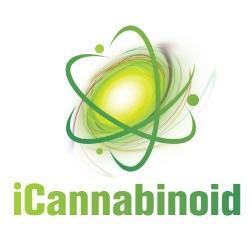 Generally, iCannabinoid Ambassadors will represent Cannabis Science through iCannabinoid and help educate the public on the Company's initiatives; create, lead, and facilitate Action Groups ‘to get the job done' via iCannabinoid; and progress Cannabis Science's projects and initiatives via social media and industry events. In addition to providing accurate and timely information to the public, you will help instill public confidence that the information you share is coming directly from Cannabis Science. This new process should help provide the Company's stakeholders with an accurate description of Cannabis Science's activities, rather than ‘what is heard on the street'. 2. In parallel, certain iCannabinoid Business Development Ambassadors will focus on aggressively advancing the compelling Cannabis Science Economic Development Program. As presented and progressed through the Global Health Catalyst Summit at Harvard Medical School for the past three years, Cannabis Science has developed an economic eco-system for depressed communities. This eco-system includes a University Education, offered through one of CBIS' University partners, skills training, entrepreneurial training, and other initiatives that help support the Company's FDA Drug Development initiatives, as well as its cannabis and industrial hemp research. As a good corporate citizen, Cannabis Science hopes to – through its Economic Development Program – stimulate economic activity, create jobs, and create entrepreneurial opportunities in order to have a positive impact in the communities in which the Company operates. 5. The medically-inclined iCannabinoid Patient Ambassador will have a comprehensive desire to learn and share at any level. Whether you are a patient, a mother, father, brother, or sister, this will be an opportunity for you to help patients connect with doctors, caregivers, therapy, and treatment information. The Patient Ambassadors will serve as an information center, resource hub, and support group for those patients seeking alternative cannabinoid treatments for various critical ailments such as Cancer, Pain Management, HIV/AIDS, Arthritis, Parkinson's Disease, Anxiety, Multiple Sclerosis, and many, many, more. "Cannabis Science believes that its iCannabinoid Ambassador's Program, among other initiatives, will help communicate accurate information to the Company's shareholders and stakeholders. Cannabis Science understands that there are certain people who will buy and sell shares all day long; those are mainly called day traders, professional or non-professional," added Mr. Dabney. "The extremes of these day traders encourage false articles, false websites, and make nasty noise about a company while they trade back and forth the shares resulting in shorting and covering, while they are ‘churning shares' back and forth with their wolf pack buddies, leaving a trail of price destruction in the wake of their profits.